It can be the greatest feeling to be exploring your favorite trails with your best friend by your side. 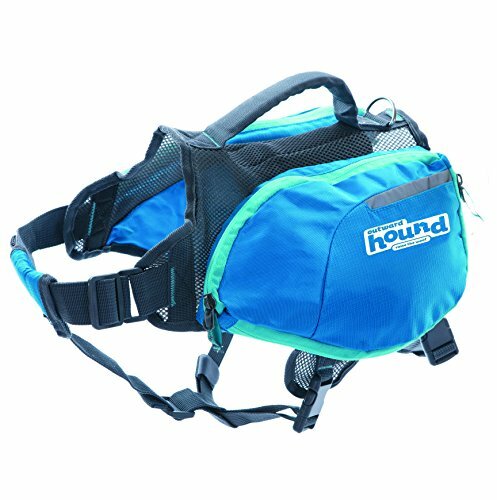 Dogs love feeling like their part of the team, so why not load up your trail buddy with one of the best dog hiking packs? There are plenty of options out there, but would you know how to choose the best one? There are so many levels of quality, functionality and durability that it would be easy to get overwhelmed. 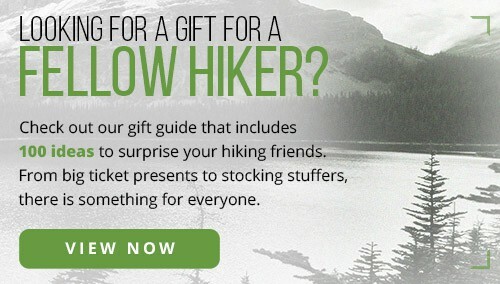 Here at The Adventure Junkies we get it! 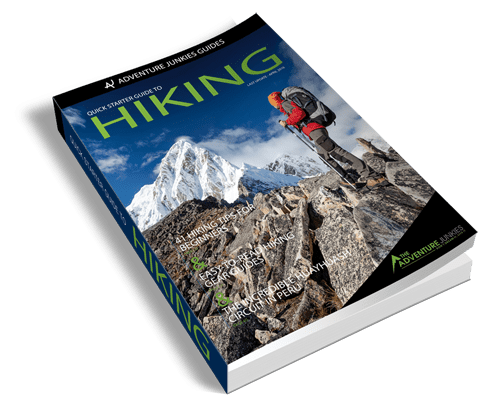 We’ve done the hard work for you, reviewing all the leading hiking packs available and summarizing them in this easy to read guide. By the time you’re finished you and your dog will both be back out on trails in no time! 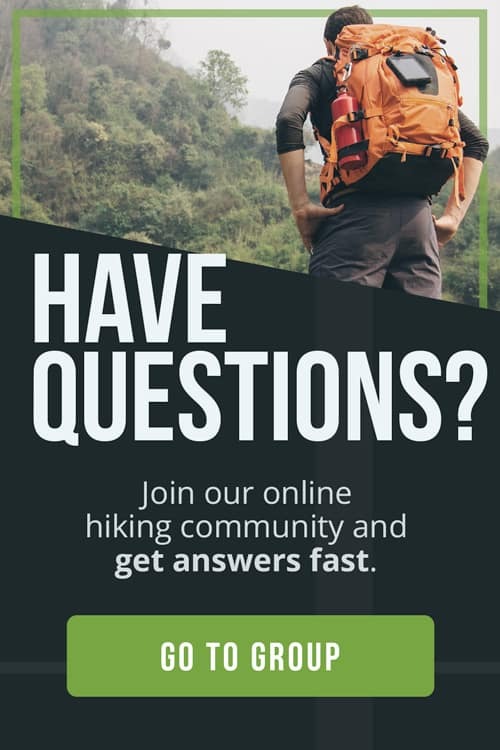 Are you just getting started hiking with your furry friend? 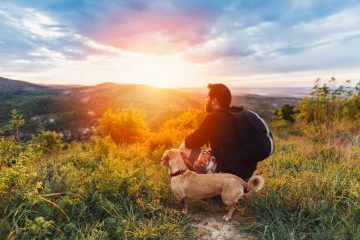 Check out our best tips for hiking with dogs. Dogs enjoy having a sense of purpose and if your dog loves accompanying you on your hikes, then this can include wearing a backpack to help carry small items such as water bottles, snacks or toys. When choosing a hiking pack for your dog, it’s really easy to jump straight into all the gear that is on the market. But do you know what’s even more important? No two dogs are the same, and not every dog will have the physique to be able to safely wear a weighted hiking pack. You wouldn’t expect a Jack Russell terrier to carry the same amount as a German Shepherd! 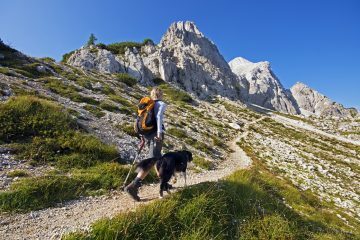 To make the best hiking pack purchase that will not only lighten your load but also create a sense of enthusiasm in your dog, you need to consider the various physical attributes of your dog. We provide some great guidelines here but if you aren’t sure or will be pushing the limits on how much you think your dog is capable of carrying, we strongly recommend asking for advice from your vet. Just like us, our dogs go through similar stages of strength as they age. Puppies that are still growing into their bodies shouldn’t be burdened with a weighted hiking pack at all. After six months of age, a good way of familiarizing your dog is to fit an empty hiking pack for them to wear around the house or yard. After they reach their first birthday, you can start loading up the hiking pack gradually to build their strength and stamina. As your dog enters the later stages of its life, it is also important not to weigh them down too much. Joint deterioration is common among many breeds. A weighted hiking pack will only place additional stress on these joints, potentially making things worse. There is no clear age at which this occurs, so use your own judgment wisely. You only need to look at the physique of a ridgeback next to a cairn terrier to know that one is significantly stronger than the other — and will be able to carry far more on their back! Generally, strength and weight are closely related when it comes to dogs. Many recommend that a mature dog should not be asked to carry any more than 25 percent of their own bodyweight. 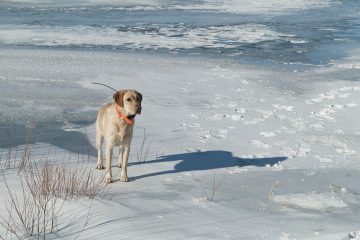 For example, if your dog weighs 60lbs, then the weight of their hiking pack and its contents should be less than 15lbs. While this rule holds true in most cases, it doesn’t apply to all dog breeds. If your dog has a fine bone structure like a greyhound or if their weight is distributed lengthwise like a dachshund, then you may need to reduce that limit down to 15-20 percent. Overestimating your dog’s strength could cause them irreparable damage, so it is always better to take a conservative approach. 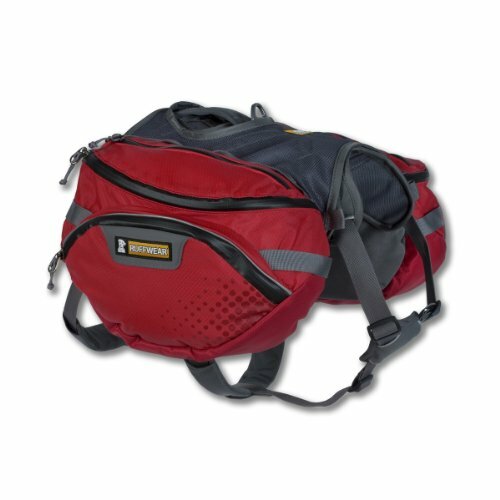 I know when I bought my own backpack I spent hours doing my research on pack design and the various options that would result in a comfortable fit. It’s no different with your dog. They are going to be on their feet just as long as you and if they are off-lead, then it’s likely they will be walking even further. 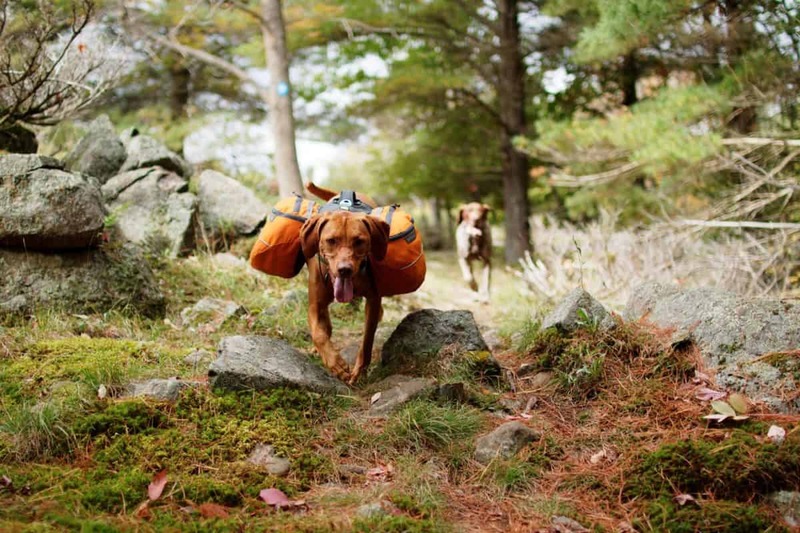 A comfortable hiking pack will mean your dog arrives in camp in great condition, and they will be looking forward to the next hike with enthusiasm! 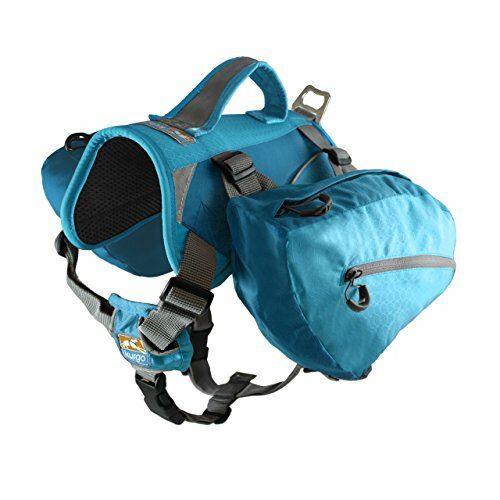 The first thing you should be looking for in a hiking pack for your dog is the overall design. 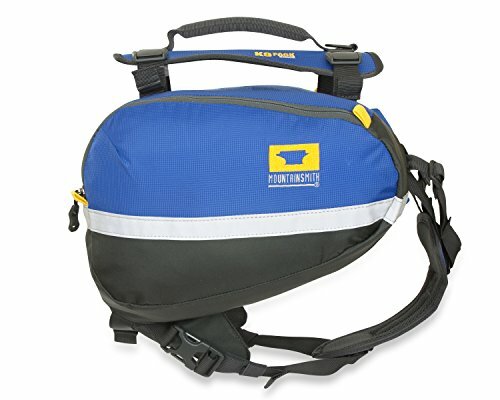 Have a look at the photos on the manufacturer’s website to see how the pack sits on the dog’s back. The ideal design will have the pack sitting toward the front of the dog, with much of the weight over their front legs. If the pack is set too far towards the rear, then it may place excessive strain on your dog’s spine. Most hiking packs for dogs will come in a variety of sizes, so measure your dog and check the manufacturer’s sizing details (height, width, etc.) to make sure you pick the right one. Pay close attention to the strap design. Wide, padded straps are best as they spread the load across the dog’s skin. A thin strap will cut into your dog’s skin and result in bruising or painful sores. 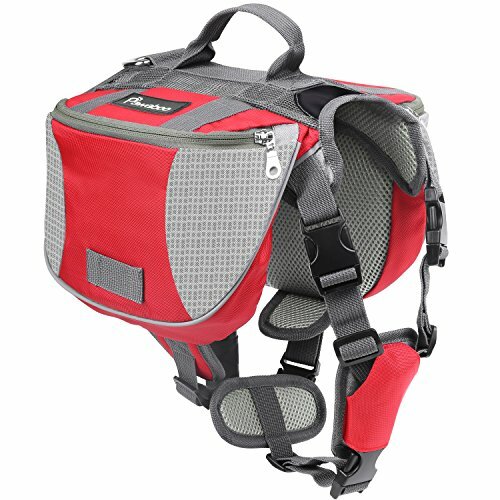 If you have a small dog, take care to ensure that the pack panniers on either side don’t hang too low to the ground. Ideally, the bottom of the panniers should be at least one inch higher than your dog’s elbow joint. 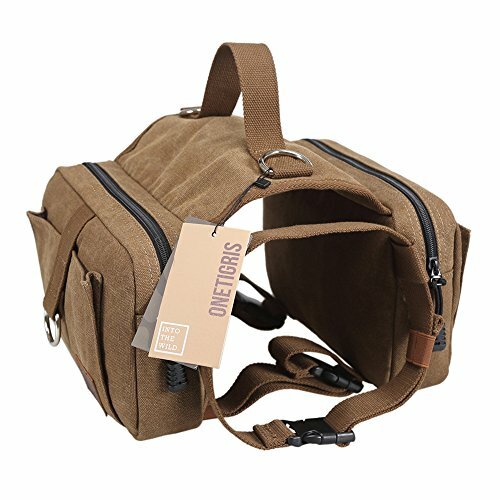 Your dog is going to be walking through all sorts of terrain and past many natural obstacles, so it makes sense to ensure that the hiking pack material is strong and abrasion-resistant. It’s also likely that your dog may end up walking in the rain or fording a small stream. If this is the case, then it’s worthwhile selecting a hiking pack made with a synthetic waterproof or water-resistant material. Keep in mind that cotton, canvas or other natural fibers can absorb moisture, weighing the pack down and unnecessarily increasing the weight your dog needs to carry. 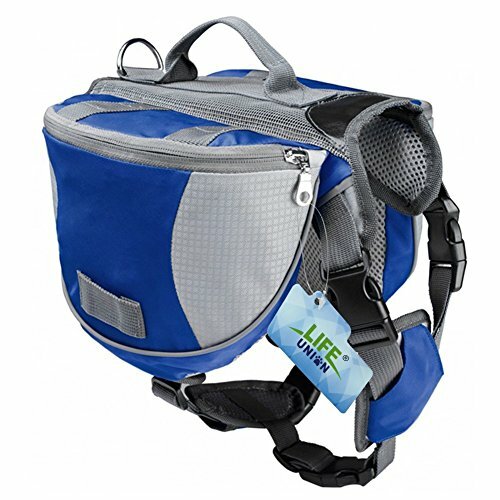 Lastly, when choosing the color of your hiking pack, it pays to keep your dog’s safety in mind. Fluorescent pink may not win any fashion prizes, but it could be a life saver if your dog gets lost on the trail! 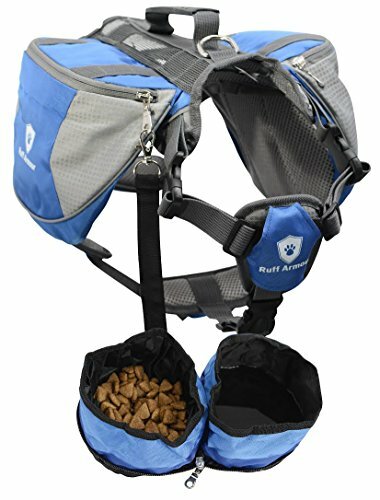 You aren’t buying a hiking pack for your dog just for the fun of it. If it isn’t functional, then you’ve wasted your money. 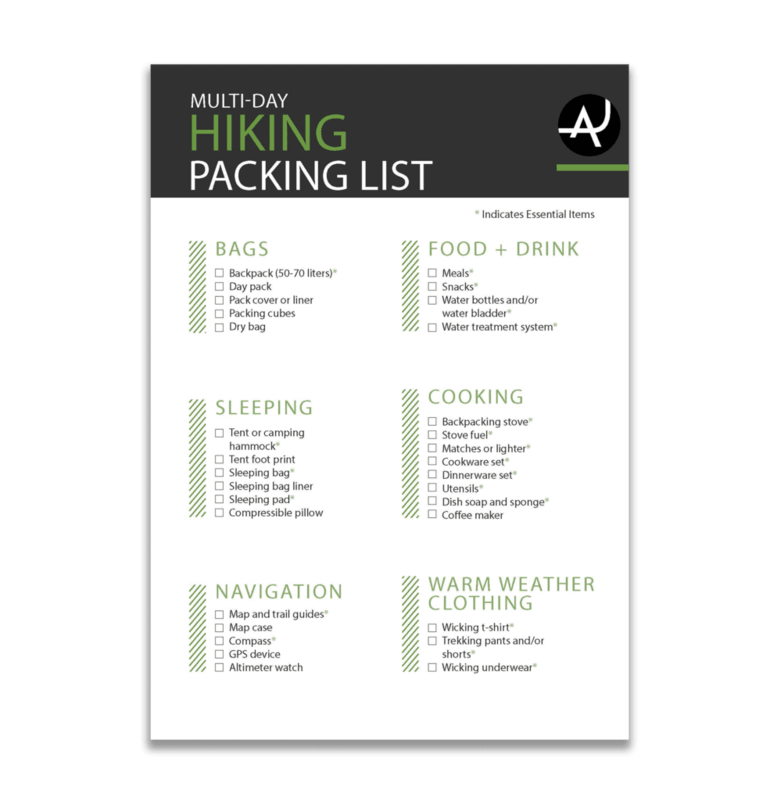 Of course, the main purpose of a hiking pack is to carry small items. 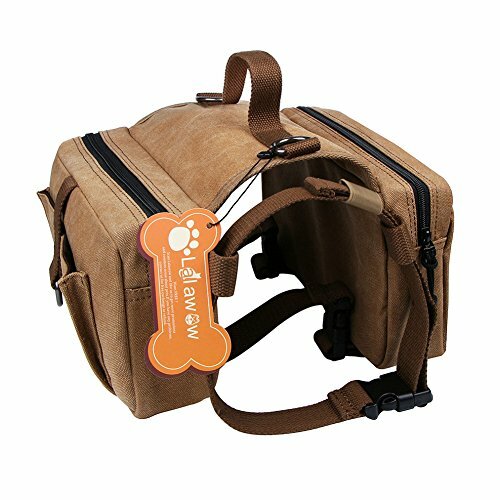 Check the pack design to ensure that compartments are symmetrical, as this will ensure that the load is balanced evenly across your dog’s shoulders. All compartments should have secure fastenings. Remember that your dog will be brushing against rocks, trees and other obstacles on the trail. A loose cover could result in the contents falling out without your knowledge. For small dogs, it may by wise to ensure the pack includes a handle placed centrally above the shoulders. That way, if you encounter any large obstacles, you can simply reach down and give them a lift! Finally, do check that there is a lead attachment point sewn into the top of the pack. 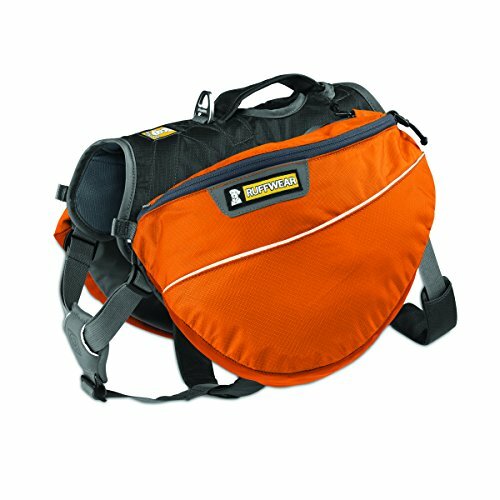 This will allow you to quickly attach a lead in case you encounter people, other dogs or even wildlife on the trail.